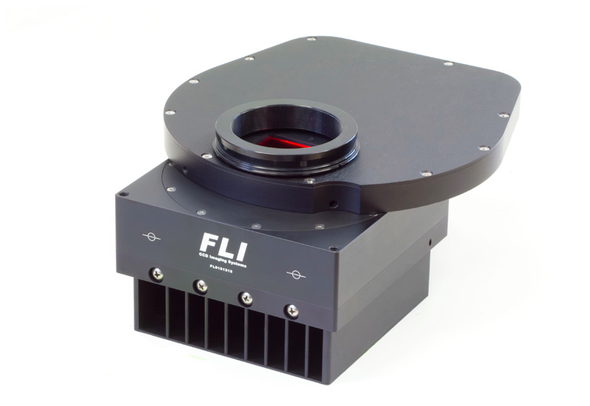 The FLI CFW-10-7 Color Filter Wheel provides the basis for amazing images night after night without fail. FLI color filter wheels are precision-machined and come with a highly accurate stepper motor and chain drive. The large diameter pivot pin and bushing of the FLI 7-Position Color Filter Wheel are precision ground and matched for smooth, quiet no-fuss operation. FLI Color Filter Wheels use no internal lights for homing to protect your images from stray light interference. The CFW 10-7 allows users to insert 65 mm square filters into seven (7) filter chambers. The CFW internal wheel has Multi-Step Filter Retainers that can be adjusted to accommodate filters from 1mm to 5mm thick.